AOPA has room blocks at four nearby hotels. Attendees are responsible for making their own hotel reservations for the National Assembly. 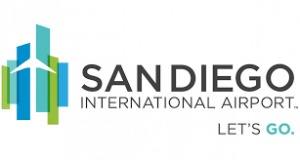 Attendees are encouraged to use San Diego International Airport (SAN). Located just 3 miles from the convention center, San Diego International Airport is a short 15 minute drive to the convention center and the AOPA host hotels. oneworld® is pleased to be the official airline alliance of 2019 National Assembly. Taxi service is available from the San Diego International Airport (SAN) to all National Assembly hotels through the taxi dispatchers outside the baggage claim area. One-way fares during non-rush-hour periods roughly start at $25. Fare is by meter only. Most major credit cards are accepted. More information is available online. All car rental pick-ups and drop-offs for rental car companies serving San Diego International Airport occur at the Consolidated Rental Car Center. Free dedicated shuttle busses run continually to ferry customers between the airport terminals and the Rental Car Center. More information including agencies available onsite at the Rental Car Center is available online. Starting January 22, 2018, passengers with a driver’s license issued by a state that is still not compliant with the REAL ID Act (and has not been granted an extension) will need to show an alternative form of acceptable identification for domestic air travel to board their flight such as a passport. As of October 10, 2018, 37 states, territories, and the District of Columbia have been determined by DHS as compliant with all REAL ID requirements. The other 19 jurisdictions are noncompliant but have been granted a temporary extension from enforcement. Extensions are granted at the discretion of Homeland Security Secretary Nielsen who is committed to enforcing the REAL ID law and regulation according to the planned enforcement schedule. For this extension cycle, DHS has issued limited compliance extensions for only the amount of time that states or territories need to both begin issuing REAL IDs and to complete the DHS compliance review. Starting October 1, 2020, every state and territory resident will need to present a REAL ID compliant license/ID, or another acceptable form of identification, for accessing Federal facilities, entering nuclear power plants, and boarding commercial aircraft. For questions, contact Ryan Gleeson at rgleeson@aopanet.org or 571/431-0836.